You're on vacation! Relax this week with unparalleled level of included services: daily maid, concierge, parking and ski valet, (don't lug your skies-you've got a ski locker at the base of lifts) and, if needed, for an extra fee, personal shopper and babysitting arrangements can be made. Also includes is a full breakfast buffet served daily in the lounge. 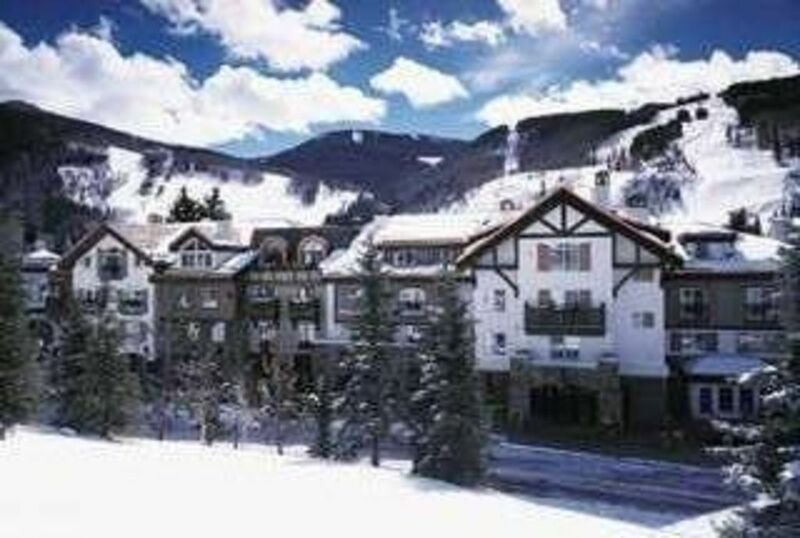 Forget your car, and your worries, you are perfectly located in the 'Heart' of Vail Village. Enjoy the lovely walk through town to world-class restaurants, spas, movies, skating, parks and activities. Or jump on the free shuttle bus outside the door to other parts of Vail and beyond. End the day in the heated pool & Jacuzzi overlooking Gore Creek. Work out in the on-site exercise room or visit the gym/spa a block away at the Vail Athletic Club (only 15.00). The units are beautifully furnished in European decor (4 TVs). A full kitchen with top of the line appliances has everything you need for dining in, plus a washer and dryer. BBQ grill on the pool deck. Marble bathrooms, huge master tub. Plush robes and slippers. Visit Vail in spring/summer/fall too for golf, rafting, fishing, hiking, biking, and other sports nearby. Go to www.austriahausclub.com to see many more photos. /interiors and /amenities plus more. This is it! Owner since 1999. The family that skies together stays together! Hassle free vacation. It's all included for you. Valet will take your skis to the Base Camp locker for overnight storage during the week. Delicious daily breakfast served in the lounge. Daily maid service means you come back to tidy condo everyday. Free shuttle bus goes right by the front door. Concierge and friendly staff available 24/7. Hotel quality toiletries are included (shampoo, conditioner, soap, lotion). Plush bathrobes and slippers. Fully stocked kitchen and washer dryer. Underground parking for one car. Walk everywhere in the village. Marble heated floors in all bathrooms. Marble counter tops. Hair dryers and spa quality toiletries provided. Plush bathrobes and slippers provided. In Unit. Laundry soap provide. Fireplace. Mountain Views. Sleeper sofa. Marble counter tops. Top of the line appliances. All cooking utensils provided. (3) TV in each bedroom plus in the living room. Available to borrow in library. Available to borrow at front desk. Rentals in Village. Beautiful trails. Rentals in Village. Free weekly storage. 1 king, 2 doubles, 2 twins, 1 sleeper sofa. Daily maid service, on shuttle bus route. Library/function room, exercise room, breakfast included- served daily, Internet access. Many restaurants in Vail provide take out and/or delivery service. Across from Co Ski museum, bus stop, covered bridge. Walk to Ford Park and Vista Baun ski lift. Ski: Use of free ski lockers near the Vista Baun lift. Short walk in town.